‘Roid Rage’ as it is commonly referred to, belongs to a broader aspect of a propaganda tactic utilized by the government and subsequently the mass media, known as Voodoo Pharmacology. This is a very widespread tactic utilized by special interest groups and politicians in order to attempt to sway the public’s stance against drug use in general towards favoring prohibition against whichever drug in question is under attack by this tactic. ‘Voodoo Pharmacology’, as it is commonly known, is the baseless claim that “drugs make you do bad things”. The fact of the matter is that many drugs exist that are in fact not harmful (or at the very least not as harmful as they have been made out to be by the media) to the individual user, and for certain drugs this is a commonly known fact. Others in opposition of the drug prohibition laws point to the fact that even if a drug is said to be harmful to the user, what is it the government’s right to infringe on an individual’s freedom to put what they wish into their own bodies as long as they are not infringing on anyone else? These two primary anti-prohibition arguments (or at least anti-criminalization) of personal drug use actually holds quite well in the face of the arguments for drug prohibition in this sense. However, what if the counter-argument was used where drugs would indeed infringe on others because “drugs make you do bad things”? This is the argument of Voodoo Pharmacology, and is frequently mocked by the medical establishment. However, this is the one twist on facts that the government and the media relies on in order to maintain individual’s minds frightened and locked into the concept that drug prohibition laws are indeed ‘good’. Various other drugs aside from anabolic steroids have stood up very well against this argument (such as Marijuanna, for example), but only because the majority of the population has become exposed to Marijuanna at a far greater degree than the average person is to anabolic steroids. Most individuals have been exposed to Marijuanna use at some point in their lives and have enough experience to know that Marijuanna does not drive people to insanity as commonly claimed (especially by the very first anti-Marijuanna propaganda film in 1936 known as Reefer Madness) and the majority of individuals are not stupid when they are told that Marijuanna drives its users to insanity. However, this is unfortunately not the case with anabolic steroids, as an extremely small portion of the population has any experience or exposure with anabolic steroids. However, any real medical professional would be able to instantly disagree with the notion of Voodoo Pharmacology where most illicit drugs are concerned. Even from the standpoint of where legislation and the lawmakers are concerned with anabolic steroids, nobody can even agree on the reasons for its legislation. At first it was claimed that anabolic steroids were “cheating” in professional sport (which is an extremely ridiculous, childish, and unconstitutional reason to legislate them in the first place). Afterwards, it was because anabolic steroids were “fatal to one’s health”. Not long afterwards, the argument that they cause users to “Roid Rage” and attack others in rage-fuelled anger filled rampages entered the arena. Which one is it? It seems as though the lawmakers are either unsure or that “it is all of them”. Well, let us first take a look at where and how this false rumor originated, and then take a look at some real world statistical data. It must be first made clear that ‘roid rage’ is not a medical term, nor is it a condition recognized by the medical establishment, because scientists, doctors, and medical professionals as well as their major organizations have not determined this wrongfully-claimed condition to exist. Therefore, ‘Roid Rage’ is a product of anti-steroid propaganda and media hype. So then, where did this ‘Roid Rage’ first originate? It is a well-known fact that males tend to be more aggressive in nature than females, and it has been found that one of the main causes of this particular trait is that men naturally produce far higher levels of Testosterone than females do. The manner in which androgenic anabolic steroids work on the brain, including Testosterone which is what the human body produces naturally, is a manner where they act on the amygdala and hypothalamus, which are parts of the human brain known to control human aggression. Other areas of effects in the brain where anabolic steroids act on include the orbitofrontal cortex, which governs functions of impulse control in humans. The fact of the matter is that anabolic steroids do increase aggression and feelings of confidence and assertiveness, but do they really increase the incidence of violence and rage? This will be covered shortly, where real world statistics and data will be demonstrated in order to prove that Roid Rage is an exaggerated myth. However, what must be absolutely understood is that an increase in aggression does not mean an increase in impulsive uncontrollable violent acts. Aggression in the sense of anabolic steroid use, bodybuilding, and athletics can be defined as the attempt to make an all-out effort to win or succeed, or the ability to be vigorously energetic, or to be boldly assertive and forward. These are all dictionary definitions of the word “aggressive”. This certainly is not the equivalent of being mindlessly and uncontrollably violent on impulse. The aggression provided by anabolic steroids is simply an increased drive and motivation to take on challenges and accomplish tasks. Some anabolic steroid users do not even experience these psychological effects, but many do. In fact, it has been demonstrated that a vast majority of athletes involved in strength and speed sports hold a preference for the use of very androgenic hormones (such as Testosterone, Trenbolone, and Fluoxymesterone) for the purpose of exploring the enhancement of psychological increase in aggression and the increased driven assertive competitiveness. The fact of the matter is that various studies have been conducted by the medical establishment on the psychological effects of increased Testosterone dosages in test subjects. At medical therapeutic levels, there were no noted abnormal psychological effects. 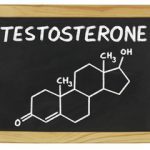 What had been noted through studies, however, is that the administration of Testosterone for the purpose of Testosterone Replacement Therapy (TRT) had actually improved mood, sense of well-being, and overall better quality of life. When Testosterone was administered at what was considered ‘contraceptive doses’ of 200mg weekly, no significant negative psychological effects were reported . 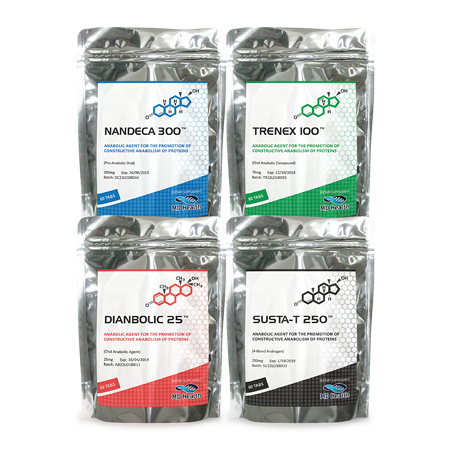 Doses increased now to a supraphysiological range of 300mg weekly, aggression increases became apparent in a few test subjects but were very mild and very infrequent. Doses increased to a bodybuilding range (albeit at the higher end) of 500mg to 600mg weekly resulted in more frequent but mild aggression increases, while a very small (5%) of test subjects exhibited manic and/or hypomanic behavior, and furthermore, the majority of test subjects demonstrated either no psychological changes at all or were extremely minor . No violent behavior was ever reported at any point during the studies conducted. It may very well be possible that some individuals are anomalies in that they are much more prone to oddly (and extremely rare) excessive aggression resulting from anabolic steroid use. 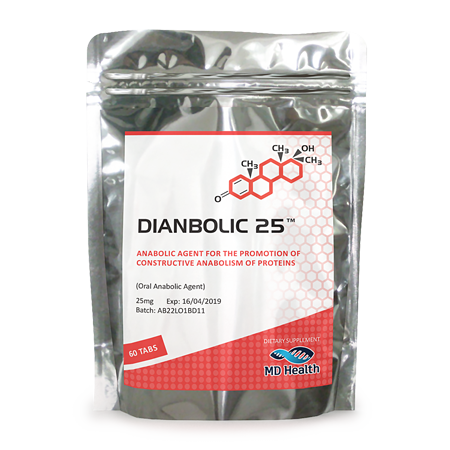 The truth of this matter is that there are more psychological factors and influences at work here that determines these manifestations rather than the actual biochemical effects of anabolic steroids on the brain. For example, Dr. Harrison Pope, an American professor and physician heavily involved in the research of anabolic steroids and their effects for over two decades now said the following in an interview of the documentary Bigger, Stronger, Faster: “If someone exhibits anger or irritability on steroids, How do we know that it is caused by the steroids? Maybe it’s just that irritable and aggressive people are the ones that try steroids in the first place and it has nothing to do with the drugs.”. Rick Collins, an American lawyer involved in legal cases where anabolic steroid use and laws are concerned said the following in the same documentary concerning ‘Roid Rage’ being used as a defense in court cases, “It’s been raised as a defense by some lawyers in some cases of violent crimes, typically it is not a successful defense. I think that if one looks at the literature, you’ll see that the prevalence of it is something that has been widely exaggerated by the media.”. 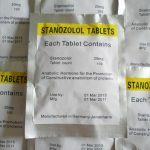 Incidentally, the use of anabolic steroids itself presents an interesting psychological phenomenon in which individuals who are normally short-tempered and very irritable ever before engaging in anabolic steroid use, tend to become even worse (amplified, if you will) when using anabolic steroids. This can frequently be attributed to the fact that an individual who is larger and stronger (with or without the assistance of anabolic steroids) who already possesses a problem of anger and self-control, would then become an individual with an even larger ego where loss of all humbleness results. This is one of the many theories as to why a certain percentage of anabolic steroid users do exhibit abnormal behavior in this regard. This would lead many to regard that the incidence of a minority of anabolic steroid users exhibiting this behavior really has far less to do with the anabolic steroids and their effects themselves, and more to do with a larger picture of each individual’s psyche, personal responsibility, and self-control. The same argument could be argued that a psychologically unstable individual without an effective means of harming someone (such as a gun or lethal weapon, for example) would be harmless – but once this individual is given a means to effectively feel superior and assert superiority over others, they then become dangerous. Essentially, this theory could be summed up as: individuals who utilize anabolic steroids as an excuse to act in an unacceptably violent and irritable manner. Other similar theories include that of ‘Roid Rage’ being entirely a psychological placebo effect. 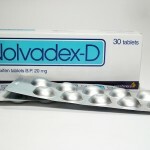 Many believe that the small percentage of anabolic steroid users that claim to experience ‘Roid Rage’ are all essentially placebos developed as a result of the constant reinforcement by the media of “Roid Rage” and “increased aggression”, which are heavily promoted by the mass media and many anabolic steroid information resources. The vast majority of the population has been exposed to many outlets (mass media being a major one) that promote this idea of ‘Roid Rage’. What results is a subconscious effect whereby the individual begins to act in a manner that is very similar to behavior described in ‘Roid Rage’ (violent acts, mistreatment of others) because they think that the anabolic steroids are causing them to be this way. Many ask the question that if these individuals had never even heard of the increases in aggression caused by anabolic steroids, would they have ever acted in such a manner in the first place? The mind is a very powerful thing. When an individual is constantly told something again and again, it becomes reinforced in the psyche where the individual will eventually begin to believe these things (even subconsciously) whether or not what they are being told is a lie or an exaggeration. As a result, some anabolic steroid users will engage in a cycle and deep in their subconscious, the reinforced idea of ‘Roid Rage’, ‘anger, and ‘aggressiveness’ already exists. The individual subconsciously or consciously begins to obsess over it, and as the use continues, the anger/aggression manifests itself not because of the anabolic steroid use, but because these individuals have become subconsciously convinced that they absolutely will experience ‘Roid Rage’. The actual numbers and statistical data behind the aggression and ‘Roid Rage’ is far and few in between, and less prominent than people have been lead to think by the media and the government. Even various prominent anti-steroid organizations and individuals have stated that “if this phenomenon is real, it is relatively rare (probably less than 1%) among users. Even among those affected, the impact of previous mental illness or abuse of other drugs is still unclear.”. This is a perfect demonstration whereby even the lawmakers and politicians are aware that the argument of ‘Roid Rage’ is an argument with no weight or proof behind it. Furthermore, it has been stated in one book written by medical anabolic steroid experts that “Some long-time steroid users have never suffered any emotional instability, or anything more than transient physical effects” in addition to a plethora of anabolic steroid users that actually report non-violent feelings of increased well-being and self-confidence as more common side effects from anabolic steroid use. Furthermore, Jack Darkes, a PhD and clinical psychologist who is currently the Director of the Psychological Services Center in the Department of Psychology at the University, had stated that the relationship between anabolic steroids and aggression holds far more complexity than the mass media and the press reports to the population, and the most extensive review of medical and clinical literature did not locate conclusive evidence for a direct correlating relationship between anabolic steroid use and aggression, even in those individuals affected. In 1996, an examination of the studies conducted on aggression as a product of anabolic steroid use was conducted. The examination had concluded that although these studies had demonstrated a link between aggression increase and anabolic steroid use, it estimates that among over one million anabolic steroid users in the United States, a very small percentage of anabolic steroid users appeared to have experienced psychological disturbance that was considered severe enough to result in medical intervention and treatment. The conclusion here is that anabolic steroid use and its effects (whether physical or psychological) on users is much like anything else or any other food or drug: there will always be a small percentage of users who will react adversely in some aspect to an extreme level. Keep in mind that these incidences are both extremely small and rare. The reason as to why this is, is at present largely unknown due to a many variety of factors that could result in this type of behavior, such as individual response, genetics, other drug/substance use aside from anabolic steroids, and the possibility that an individual may possess an unknown underlying psychological condition that manifests itself during anabolic steroid use. 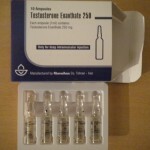 This is evidenced by one particular study conducted in 2000 (one of the studies referenced earlier), which administered Testosterone Cypionate to test subjects at 600mg weekly had demonstrated that 84% of the test subjects had only reported minor psychological effects where 12% manifested mild hypomanic symptoms, and the other 4% (2 test subjects) exhibited highly significant hypomanic behavior8. The mechanism by which these reactions manifested themselves could not be explained by any sort of demographic, psychological, physiological, or laboratory-related measures. Unfortunately, there exists little to no national-wide statistical data on the incidence of ‘Roid Rage’ related incidences or crimes for two reasons. The first is that it is very difficult to discern which criminal records indeed were definitively linked with effects resulting from the use anabolic steroids (of which very few if at all exist). The second reason is because making generalizations to the larger population from certain case studies or criminal indexes is very much unsubstantiated and lacks sound reasoning, which will be explained in the next section. Conclusion: Is Roid Rage Real? 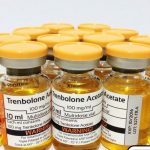 There is no doubt at all that Testosterone and its related anabolic steroid derivatives do increase aggression do varying degrees depending on the individual in question, the doses used, and the type of anabolic steroid used (some are less androgenic than others). But is the media portrayal and definition of ‘Roid Rage’ real? Whereby anabolic steroid users are depicted as suddenly out bursting into unprovoked fits of psychotic rage, destroying everything around them and harming others? Absolutely not! So where and how does the media formulate and fuel these myths? Well, aside from preying on the ignorance of the general population where subjects such as these are concerned, one must take a look at the context in which most ‘Roid Rage’ media reports and stories are expounded to the population. Almost every single time a major news report on anabolic steroids hits the news, ‘Roid Rage’ is always associated with the story and is often scrolled across the TV screen in big bold lettering. Case in point: the unfortunate tragedy of former WWE wrestler Chris Benoit who murdered his family and then killed himself. When it was discovered that he was a regular anabolic steroid user, of course the media would focus solely on anabolic steroids being the causative factor. However, not one mention in the media was made of the fact that toxicology reports confirmed that Chris Benoit also contained levels of Xanax and Hydrocodone in his system, and it was also known that Chris Benoit was suffering from a form of depression as well as psychological issues due to years of repetitive trauma to the head as a result of his wrestling career (something very common among professional wrestlers and even boxers). Following the tragic deaths, Chris Benoit’s body was sent to West Virginia University and Julian Bailes, head of neurosurgery at the university, conducted tests on Chris Benoit’s brain. It was concluded by Julian Bailes in his own words that “Benoit’s brain was so severely damaged it resembled the brain of an 85-year-old Alzheimer’s patient.”. Even the chief medical examiner himself had stated that the conclusion as to the causes of what occurred excludes any possibility that any “roid rage” was involved. However, the media chose to continue to continue to harp on ‘Roid Rage’ as the cause of the murders in connection with the issue that Chris Benoit had used anabolic steroids in his career as a professional wrestler, despite the vast amount of evidence pointing to the contrary. News stories and situations that commonly blame ‘Roid Rage’ as the causative factor often overlook other more influential factors in the incidences/crimes, such as consumption of alcohol or other drugs (or in Chris Benoit’s case, severe brain damage tempered with depression). This is what is known as media sensationalism and misleading news reporting – it occurs far more frequently than the average individual realizes. This blatant disregard for the facts and demonizing anabolic steroids in the face of evidence is something commonly seen among the mass media and lawmakers. For example, US Congress had held hearings on the legislation of anabolic steroids in 1990. 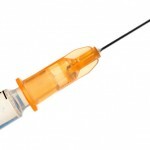 During the debates and discussions, the American Medical Association (AMA), the Drug Enforcement Agency (DEA), the Food and Drug Administration (FDA), and the National Institute on Drug Abuse (NIDA) were all vehemently and outspokenly opposed to anabolic steroids being criminalized and becoming controlled substances. All of these major professional organizations raised the facts to Congress that the use of anabolic steroids does not lead to any physical or psychological dependence required for the scheduling and legislation. Instead, right in the face of the medical and scientific evidence brought forth before them, Congress decided to disregard everything and instead legislate and schedule anabolic steroids regardless. These were very influential and powerful agencies/organizations whose opinions anyone would think would carry much credibility and weight. The facts and arguments were non-existent for the support of the action to schedule the drugs, but Congress went through with it regardless. This kind of blatant disregard for the facts in favor of sensationalism, hype, and political agenda is very common and has been a regular occurrence in Western society for a long time, especially where the subject of anabolic steroids are concerned. So, the final conclusion is that it is safe to say that the myth of ‘Roid Rage’ is more of a perverted exaggeration of the facts rather than an outright lie. As with any type of drug use, personal responsibility is always at the forefront of the issue. No government or organization can possibly make an individual more responsible, make decisions for them, or protect an individual from themselves. If an individual possesses a medical contraindication whereby he or she has a psychological issue, then anabolic steroid use is not for this person. If an individual is known to possess a short temper and has known issues controlling their anger, then the personal responsibility rests on their shoulders to either realize that anabolic steroid use is not appropriate for them, or at the very least maintain proper control over one’s mental thoughts and impulses while engaging in responsible anabolic steroid use. There is a distinct difference between increased aggression and impulsive violent behavior indicative of a psychological/mental disorder. Increased aggression is not a psychological/mental disorder. Increased aggression does not cause instantaneous impulsive random bouts of uncontrollable insane psychotic rage, which is the exact definition of the media-formulated myth of ‘Roid Rage’. The aggression experienced by anabolic steroid users can be controlled quite well, and in fact channeled properly to favor positive outcomes (training harder in the gym, increased confidence at work, and assertiveness). In the average healthy adult male, the increase in aggression can be easily controlled and can also be a positive trait to have (if it is even experienced by the individual, as some do not actually experience it). On the flip-side, any psychologically unstable individual (who may perhaps also be violent and/or hostile) that is administered a compound known to increase aggression is obviously an irresponsible decision and can cause bad problems – but so can giving an unstable individual a knife, a gun, or in some cases even a motor vehicle to drive, or alcohol to consume. Once again: responsible anabolic steroid use is not just about using sensible doses and using diligently, but it is also about self-control, and knowing when and when not to use.